Step 1 In a saucepan with a good fitting lid bring water, salt and butter if desired to a boil. Step 2 Add rice and stir. Step 3 Cover and reduce heat to medium low. You will know that your temperature is correct if a little steam is visible leaking from the lid. A lot of steam means your heat is too high. Step 4 Cook for 20 minutes. DO NOT LIFT LID! Step 5 The steam that is trapped inside the pan is what allows the rice to cook properly. Step 6 Remove from heat and fluff with fork. 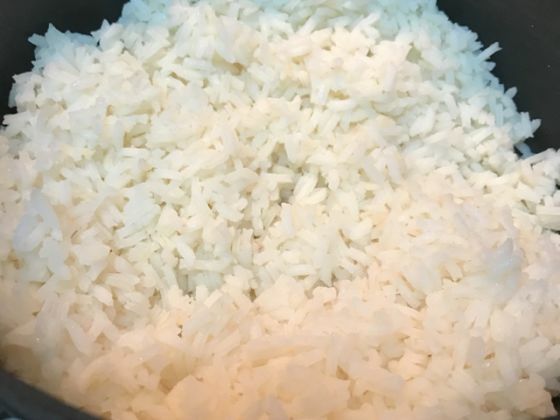 I like brown rice more than a white one, but I use it from time to time – usually Basmati. I prefer it bc it’s always nicely cooked. Risoto options are endless, weather you’re vegan, vegetarian or a regular meat lover!